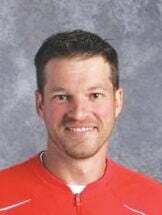 The Chariton Community School Board accepted Ben Schooley’s resignation as Chariton Head Varsity Boys basketball Coach at the regular monthly school board meeting Monday night. Schooley will still teach at Chariton High School and he and his family will remain in Chariton. In his resignation letter, Schooley said he wanted to resign to be able to spend more time with his young family and focus more on teaching. He is an At-Risk teacher at CHS. Schooley has been a basketball coach in Chariton for the past 14 years and the head CHS Varsity boys coach for the past eight. He said it has been a very rewarding experience. During his tenure as head coach at CHS, Schooley has compiled a 122-62 record and led the Charger boys teams to three South Central Conference championships and two Class 3A State Tournament appearances in 2014 and 2016. The Chargers placed fourth overall at State in 3A in 2016.